This simple, yet delicious nacho recipe is a must try! Over a bed of tortilla chips, layer LEAN CUISINE® Santa Fe-Style Rice & Beans, fresh tomatoes, guacamole and sour cream for a tasty nacho plate! 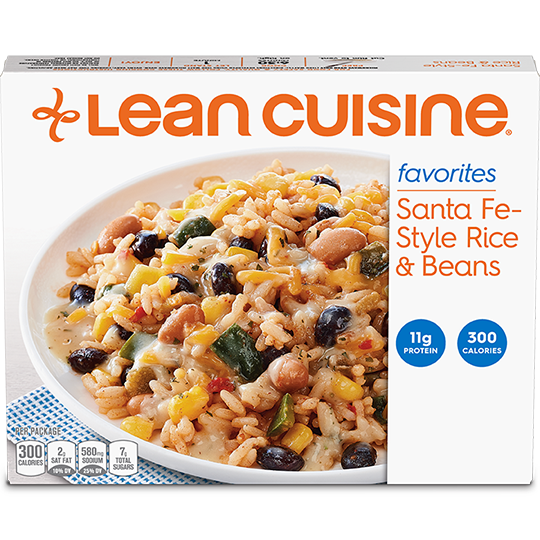 HEAT LEAN CUISINE® Santa Fe-Style Rice & Beans according to package instructions. LAYER six tortilla chips, ½ of the Santa Fe-Style Rice & Beans, ½ of the black olives and ½ of the grape tomatoes on a dinner plate; repeat layering.